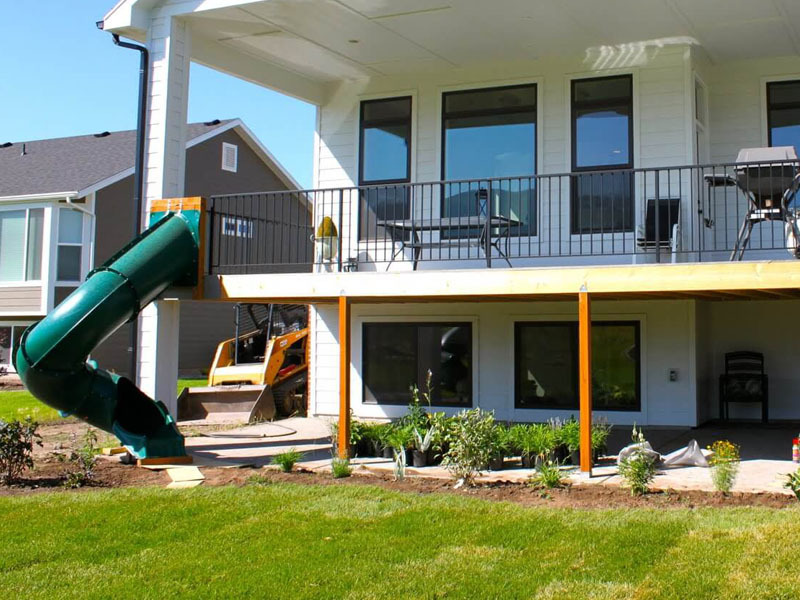 Trying to figure out how to update your porch for summer? We have you covered! 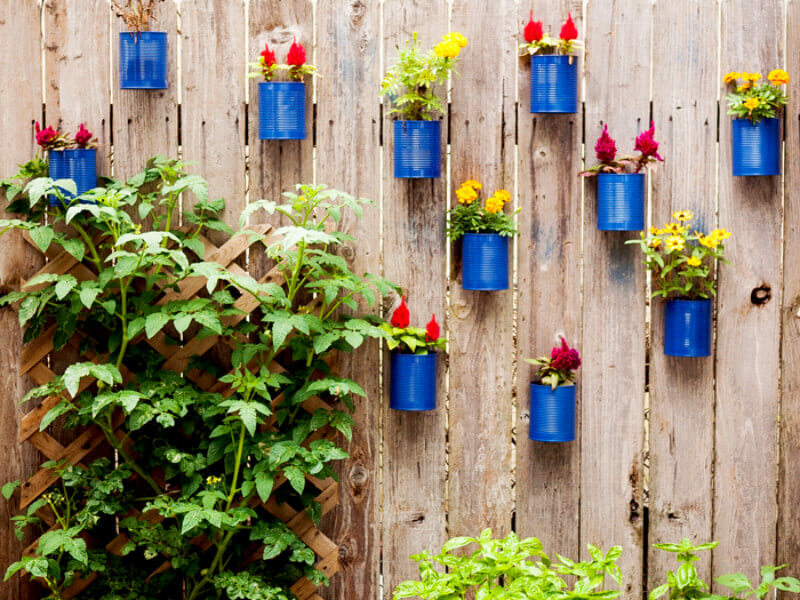 From bold colors to a patriotic theme, here are eight ways you can make your porch ready for summer fun! Summer is the best time to utilize your porch. If you love sitting in the sun while relaxing or chatting to friends and neighbors, your porch needs to be ready for summer. 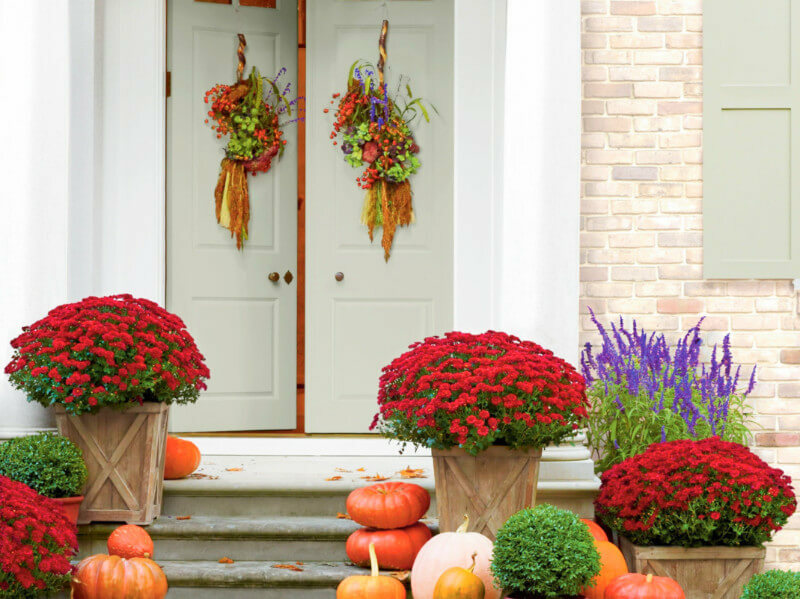 If you haven’t updated your porch decor in a while, now is the time! 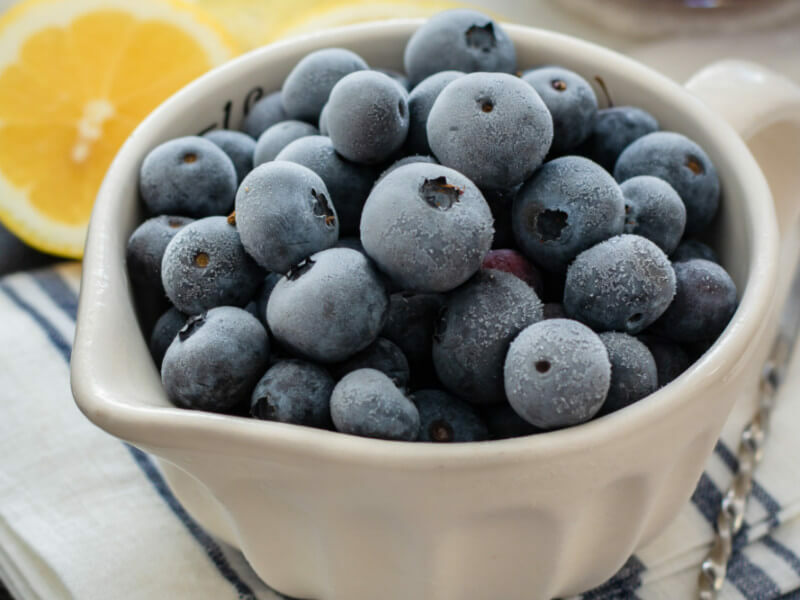 Make the most out of your porch this summer with these creative and simple summer porch decorating ideas. Get ready to have some fun! 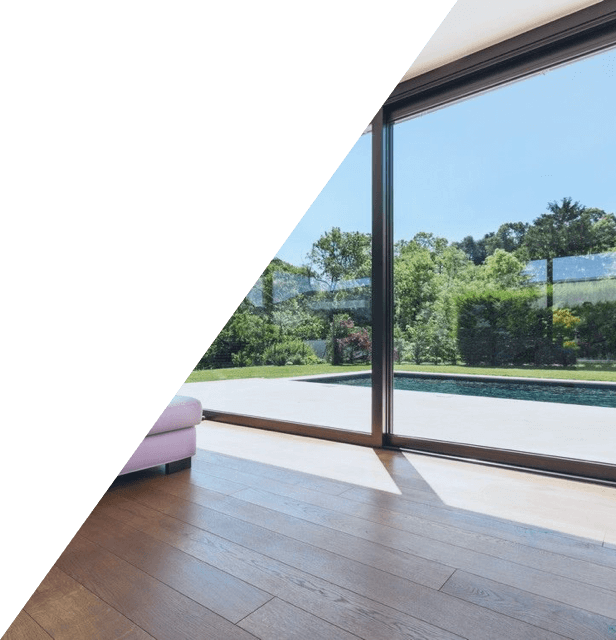 Summer is a time for bright colors, and your porch is the perfect place to display those bold colors and patterns you love that don’t seem to match the interior of your home. 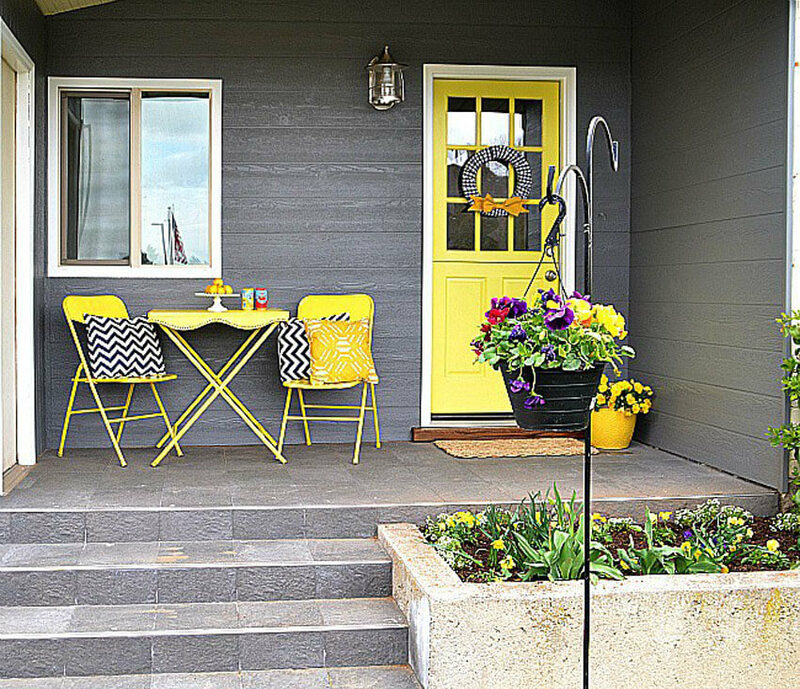 While every porch could use more color, bold and bright colors really pop if the exterior of your home is a neutral color. 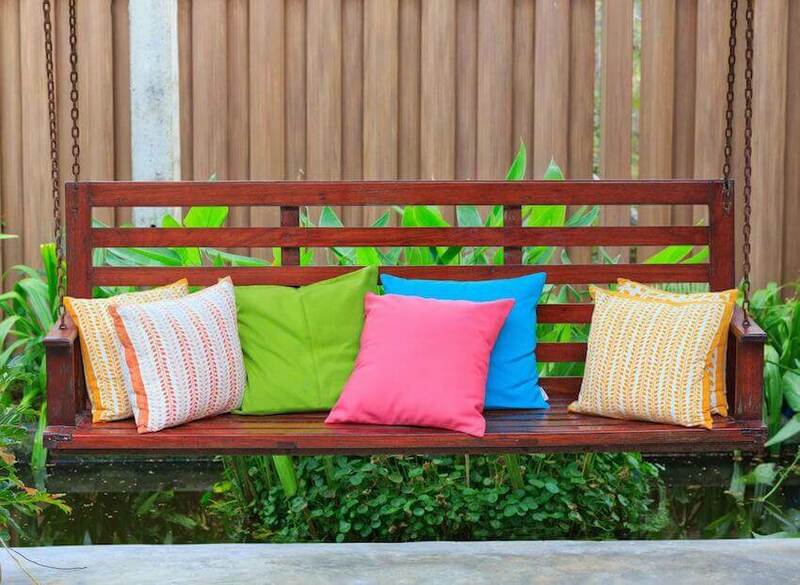 If you don’t want to use brightly colored furniture on your porch, opt for colorful pillows. 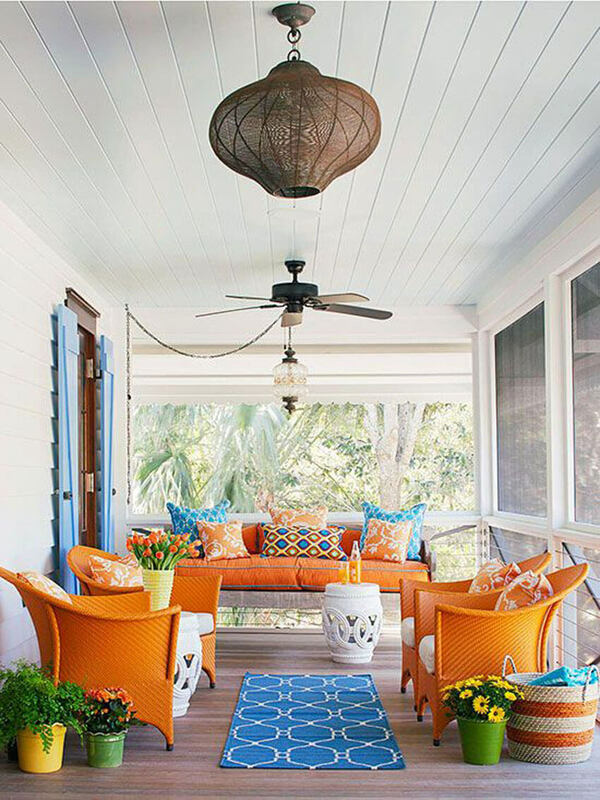 Pillows can add just the right amount of fun color to your porch while increasing the comfort of your furniture. The best part about using pillows is you can easily mix and match. Whether you have a small porch or you’re only looking for a quick update to your porch, painting your front door can do wonders. 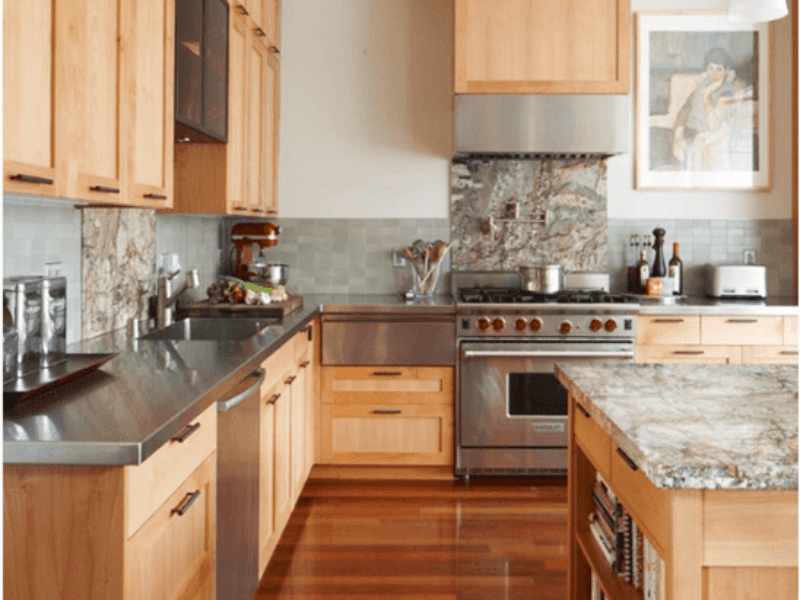 A fresh coat of paint on your front door makes your home look brand new, and when you add a matching bistro set or a couple of matching rocking chairs to your porch, it can really increase your home’s curb appeal. 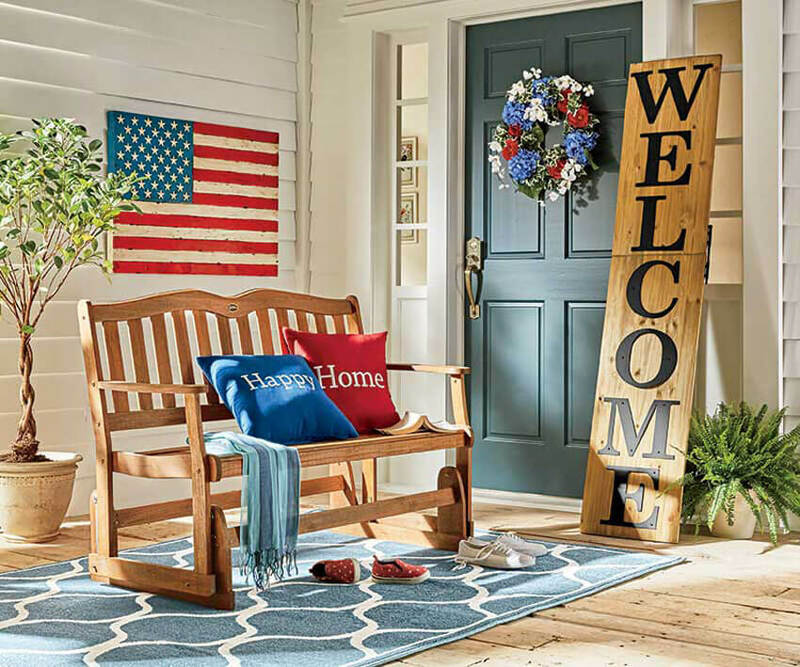 Memorial Day and the Fourth of July are both celebrated during the summer, so why not turn your porch into a patriotic display? Hang flags from your roofing or use red, white, and blue furniture to add a sense of history and patriotism to your front porch. No matter where you live, summer always brings about dreams of the beach. If you want to give your porch a coastal vibe, it’s easy! 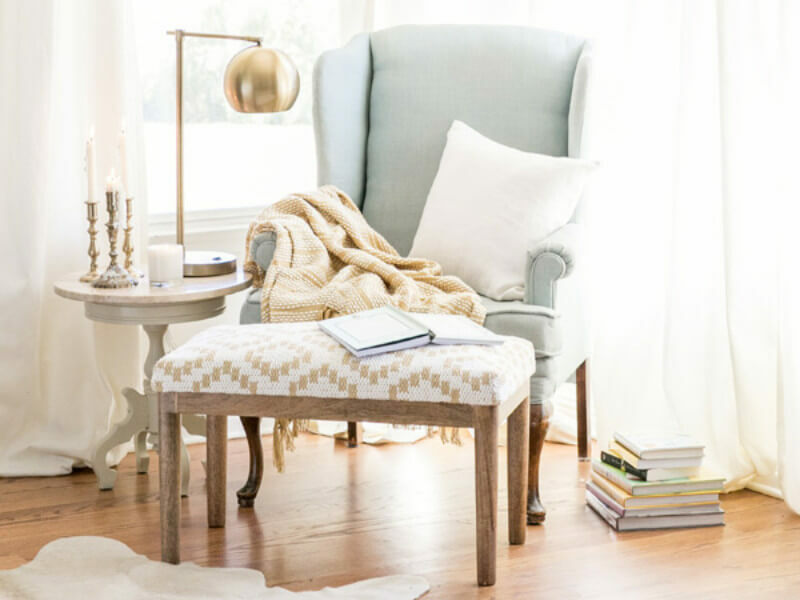 Use different shades of blue, pillows or rugs with an anchor print, and wicker rocking chairs to bring the beach to your front door. Even easier than painting your front door, hanging a summer-themed wreath can provide a powerful style update to your porch. 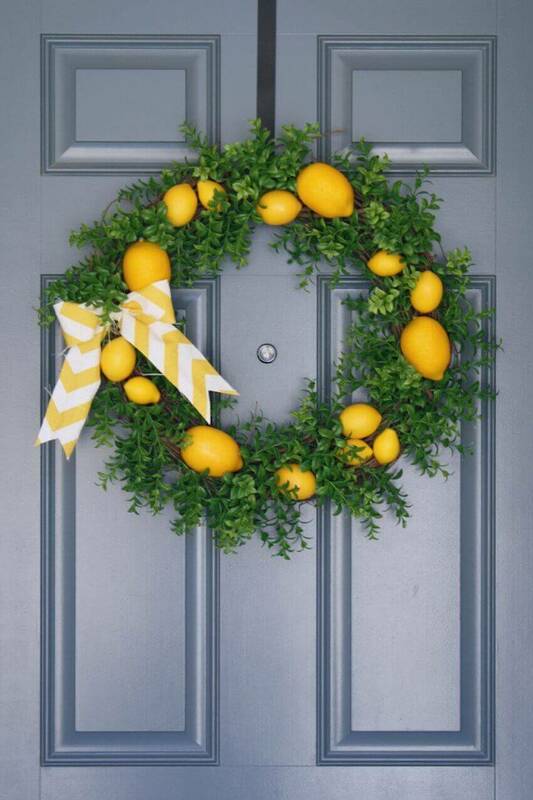 This DIY summer lemon wreath is a perfect way to add some summer to your home’s exterior. Or, if you want a coastal vibe without buying new furniture, make this DIY summer beach wreath instead! 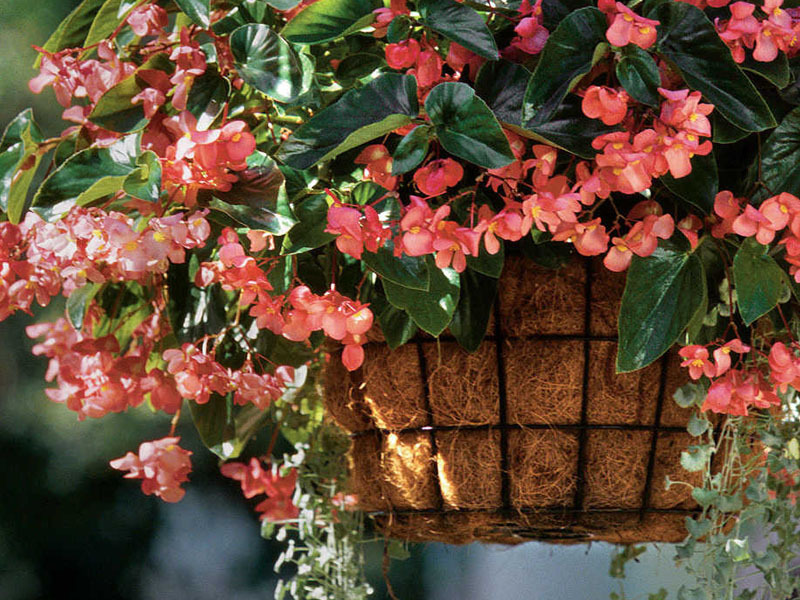 Flowers are another way to easily decorate your porch for summer. 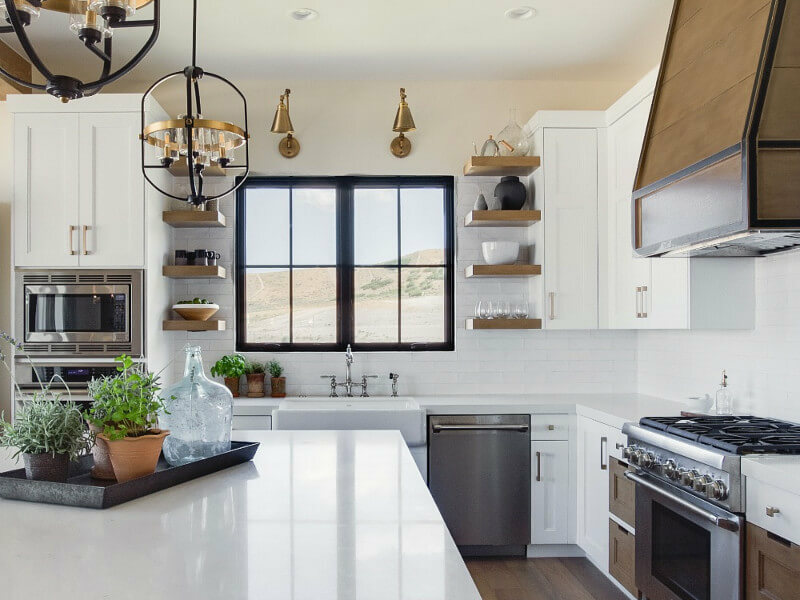 Buy fresh-cut flowers or pick some from your garden and display them in various planters for a unique and floral front porch. 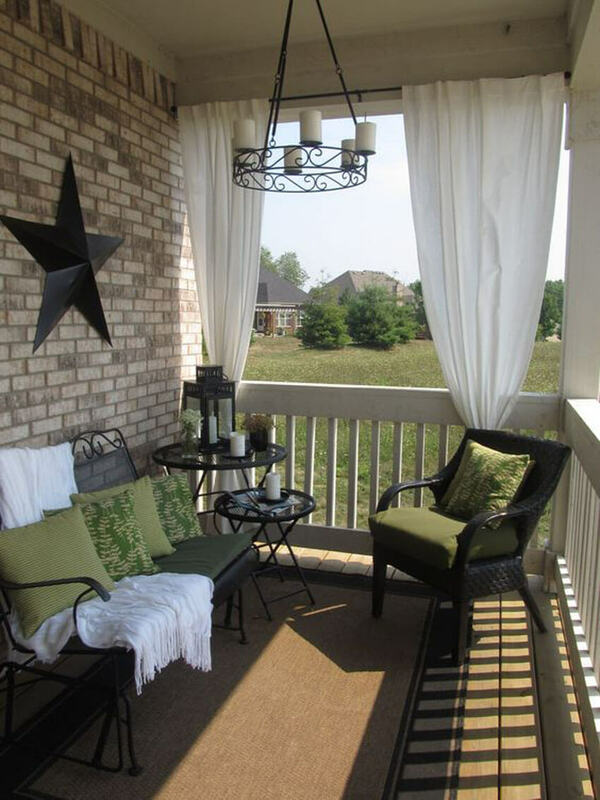 There’s nothing better than sitting on your porch in the summer, but if you have nosy neighbors or seem to attract mosquitoes easily, hanging up curtains around your porch is a beautiful way to add privacy and keep out insects.